This guy was hard to knock down. 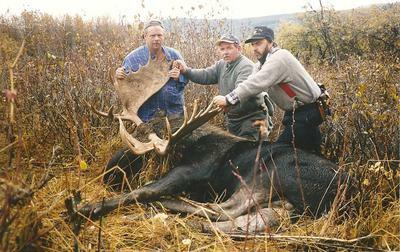 As I found out this moose had been shot the year before. The next year I was talking to the guy who had shot it. Apparently he shot it through the lungs and the bullet had passed right through him. 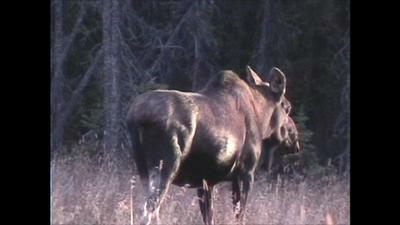 He was all healed up so that's one tough moose. He was 675 lbs hanging. 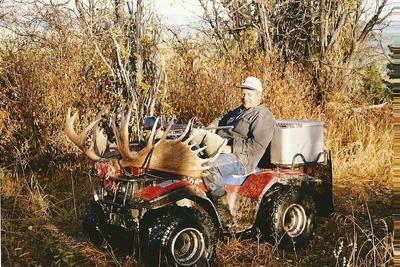 Nice Hat Rack on that moose!